MS&AD Insurance Group Holdings Inc. (President & CEO: Yasuyoshi Karasawa) has recently been presented with the Prize for Excellence in Integrated Reporting at the 5th WICI Japan Awards for Excellence in Integrated Reporting, organized by WICI Japan. This award is designed to recognise companies that publish integrated annual reports combining financial and non-financial data, with the aim of providing people all over the world with simple and clear information on their value creation activities. MS&AD Insurance Group honourably received the award in recognition of its MS&AD Integrated Report 2017, which was published in August and was considered to provide policyholders, investors and other stakeholders with a high level of information on the company’s wide-ranging efforts to secure sustainable growth and create value as a group, in an easy to understand manner. 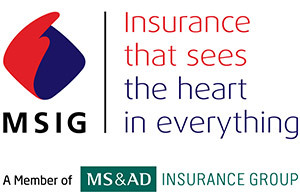 MS&AD Insurance Group remains fully committed to providing all of its stakeholders with useful information. The awards were established in 2013 by WICI Japan, the Japanese arm of the World Intellectual Capital/Assets Initiative. The Awards for Excellence in Integrated Reporting are given to companies that provide simple and clear information on their value creation activities on a worldwide scale, by publishing an integrated report containing financial and non-financial data in both Japanese and English, and that engage in integrated reporting in order to provide an insight into their future activities. This year, which is the fifth of these Awards, out of 250 companies with the highest market capitalization listed on the Tokyo Stock Exchange First Section, two companies received the Grand Prize for Excellence, two – the Prize for Excellence, and three companies – the Encouragement Prize. The award ceremony took place on December 1. Name of the award: "Prize for Excellence in Integrated Reporting"
The report may serve as a model for other companies. It explains MS&AD Insurance Group’s contribution to the solutions for social issues through its insurance and financial services business in a simple way using concrete examples. The report demonstrates integrated thinking regarding financial and non-financial factors while taking investors’ and all other stakeholders’ interests into consideration.